You know you need to spend some money to acquire new customers, but where do you start? There are a lot of ways to drive quality traffic, and many will work to some degree. But if you invest in every acquisition channel, you’ll spread yourself too thin and see poor results. Instead, you should identify one or two customer acquisition channels that lead to predictable and sustainable growth. This way you’ll invest in the channels that create the best return on your investment. According to the book Traction by growth experts Gabriel Weinberg and Justin Mares, there are 19 customer acquisition channels you can use to drive growth. Targeting blogs – Guest posting on blogs your customers read. Publicity – Getting your name mentioned in traditional media outlets like magazines, newspapers, radio, and TV. Unconventional PR – Publicity stunts and customer appreciation techniques. Search engine marketing – Placing ads on popular search engines. Offline ads – TV, radio, magazines, newspapers, yellow pages, billboards, direct mail, etc. Search engine optimization – Improving your ranking in search engine results. Engineering as marketing – Building useful tools and resources to get in front of potential customers. Sales – Using a refined sales funnel to turn prospects into new customers. Affiliate programs – Arrangements with other people where you pay them for customers and/or leads. Existing platforms – Leveraging other platforms (like websites, apps, or networks). Offline events – Engaging with people in-person, often by sponsoring events like conferences or meetups. Speaking engagements – Giving educational talks to people who could also become customers. Community building – Fostering relationships among your customers to create a community. 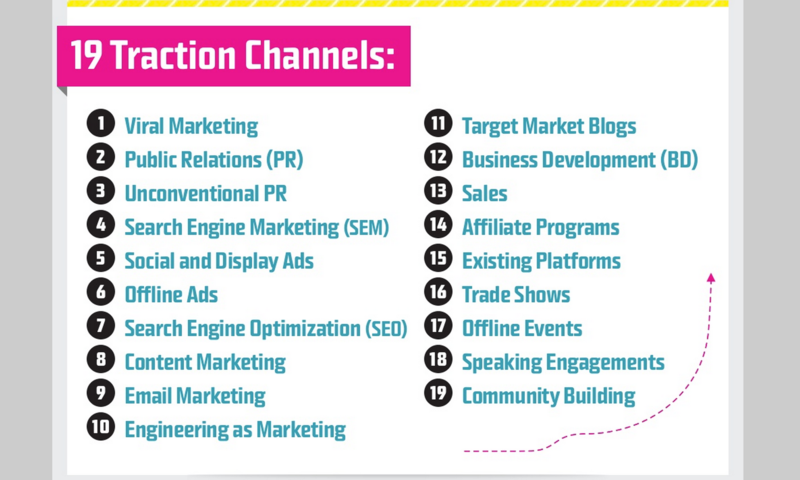 Ready to dive into one (or a few) customer acquisition channels? Check out these free resources. We’ve used the book Traction a lot in our marketing program and growth planning at Jilt. It’s definitely worth your time, whether your eCommerce company does $20,000 or $10 million in sales. You can start with this abridged version of the book from one of its authors: 78 Takeaways from Traction Book. As you can see, there are a lot of unique ways to drive traffic to your store. Even if you wanted to invest in all of them, you probably don’t have the resources. (And that’s not a great strategy, anyway.) So you need to take a more targeted approach and the right channels for your business. Keep in mind that the amount of traffic you get from a particular channel is entirely irrelevant. What’s important is the value those customers provide – the revenue they create, the word-of-mouth they spread, etc. This means when it comes to investing in a customer acquisition channel, you’ll have to choose the ones that deliver the best return on your investment (ROI). There are three steps to finding the right acquisition channel(s) for your eCommerce store. The information in your personas should help you weed out the acquisition channels that don’t help. For instance, let’s say one of your personas is John, a husband who buys his wife trendy Mother’s Day gifts on behalf of his young kids. John is triggered to make a purchase when Mother’s Day comes around. It’s safe to assume that speaking engagements, trade shows, and engineering are poor ways to reach John. Even guest posting on blogs wouldn’t reach John because he probably doesn’t read gift-related blogs, and content marketing might not work well either, because it’s doubtful John reads about Mother’s Day gifts most of the year. But publicity, search engine marketing, social/display ads, offline ads, or existing platforms might be great ways to reach him. Next, take an honest look at your marketing budget. Some channels might be out of reach for you at the moment, so you’ll have to put them aside for now. For instance, trade shows are an excellent way to put your products in front of distributors, wholesalers, and big box retailers. But, trade show costs (including travel, floor displays, sample products, and fees) can run $20,000 to $60,000. Even if your eCommerce store does a few million dollars per year in sales, that expense might be too tough to bear all at once, so that channel is out of reach. Instead, you might find it easier to invest in free or low-cost channels, like SEO, guest blogging, paid ads, content marketing, or affiliate programs. At this point you should have a short list of potential acquisition channels from the big list of 19 that are affordable and would resonate with your customers. The next steps are to decide on the one or two that have the most potential impact and then test them out to make sure they produce a positive ROI. That way, you won’t waste a bunch of resources on a channel that doesn’t make you any money. Create a small experiment to test each acquisition channel. 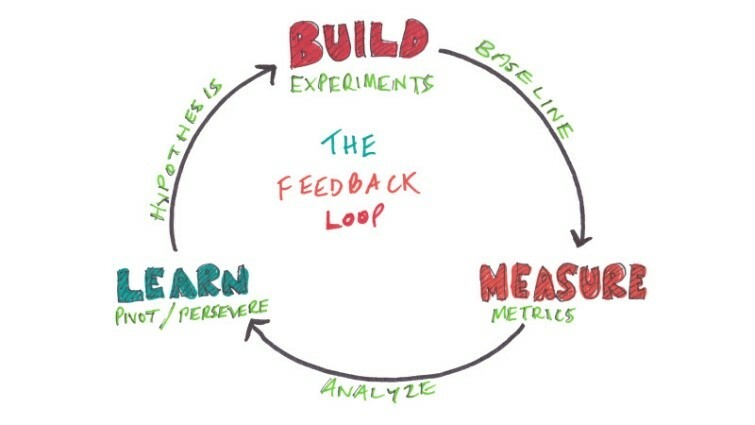 A minimum viable experiment is the smallest type of experiment you can run to get some data. It’s a lean startup approach to growth. Determine a desired outcome and a way to test it – Create a strong hypothesis and the absolute minimum experiment you need to validate or refute your idea. Measure the results – What was the outcome/result? What changed? We can best explain this with an example. Let’s say you think an affiliate program will help you attract new customers and drive sales. We’re opening a small, invite-only affiliate program for [COMPANY NAME]. We’ll give you a $15 credit for every friend you invite who spends at least $50. Simply instruct them to put your full name in the “Referrer” field when they check out. This is a pretty low-tech approach, but if you limit your test program to a small group of frequent buyers (people who are avid customers), the manual work should be minimal. Remember, this is only a test. 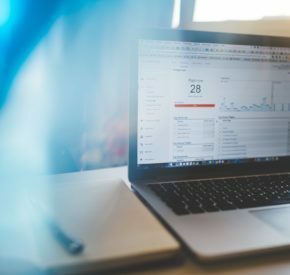 It’s not meant to scale the way its set up, but rather to give you enough data to determine if affiliate marketing will actually be worth the time and expense to set up. If you’re pleased with the results, you can then implement an automated solution at scale. Next, measure your results. Let’s say you invite 200 people, of which 75 participate, and 22 actually refer a friend. Does an 11 percent success rate make it worth your time? Did you make money on those sales after you paid the commissions? Don’t forget to include the cost of any tools you would have to integrate to make a scaled-up program work. That’s just one example, but you can see how running small, low-tech tests can yield powerful results that can help you determine which traction channels to invest in. This three-step approach will help you settle on one or two (maybe three, but don’t spread yourself too thin) acquisition channels, but you’ll find it useful to occasionally try new things. While some channels are obviously better for eCommerce stores than others, it’s important not to dismiss any out of hand. If you run experiments into new channels before diving in with both feet, you’ll identify the ones that work the best without wasting your marketing dollars. Use these resources to learn how to take action with the major channels to acquire new customers. Subscribe to receive this extra resource and our newsletter.